These strips are stocked in different width, finish and different hardness range between 40 50 HRC (Std. Size of Hardened and Tempered Spring Steel Strips) in Grey, Bright polished, Blue polished surface finish. Our clients can avail from us a wide range of Alloy Steel Flat at most affordable prices. These Alloy Steel Flat are widely appreciated by our clients which are situated all round the nation. Owing to our expertise, we are offering a wide collection of Automotive Spring Steel Flat. 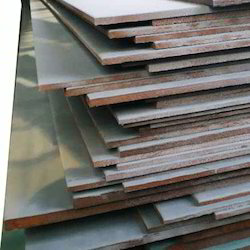 Manufactured using high quality raw material and latest technology as per the set industry parameters, these steel flats are highly admired by the customers. Table : Alloy Steel Flats (Spring Steel) as per IS: 3195-1992 & Sup 7, Sup 9 & Sup 11 A .
spring steel flat bars hot rolled, cold rolled, oil heat treatment based on your requirement. Available in various grades - SUP9, SUP9A, SUP11A, EN 45 etc. We also manufacture Spring Steel Flats in all sections and Mild Steel Flats upto 150 mm Width and 40 mm thickness. Keeping the diverse requirements of customers in mind, we are instrumental in providing Spring Steel Flat Bar. We are leading manufacturers and supplier of agricultural steel flats. We are providing best quality High Carbon Steel Flats , Spring Steel Flats , Alloy Steel Flats for agriculture equipment purpose in India and north India. 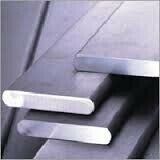 We are a prime exporter and importer of spring steel flats. These spring flats are known for qualitative features as manufactured from quality steel. Further, we offer spring steel flats in various specifications to meet the clients requirement. So we are having Spring Steel in very good quality having proper chemical composition.